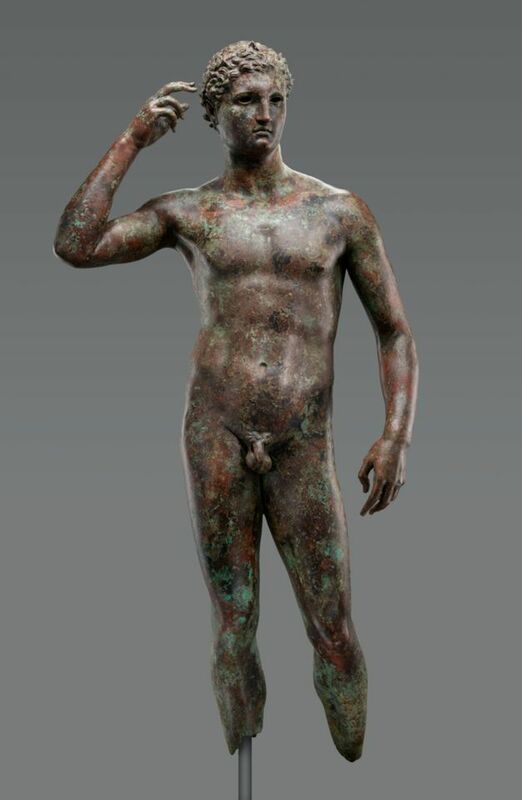 Italy’s highest court has ruled that the J. Paul Getty Museum must surrender a linchpin of its collection, the bronze Statue of a Victorious Youth, to Italy. But the Getty vowed today (4 December) to resist, saying that the statue “is not and never has been part of Italy’s cultural heritage”. The ruling by the Court of Cassation was handed down Monday after a long battle over the ancient Greek bronze, which was found by Italian fishermen off the Adriatic coast in 1964 and purchased by the Getty in the UK for almost $4m in 1977. The court was rejecting the Getty’s appeal of a ruling in June by a lower court in Pesaro stating that the statue must be returned. Despite earlier decisions to the contrary, the lower-court judge had ruled that the statue was found in Italian waters­—and stated that even if the waters were not Italian, the discovery was made by individuals aboard an Italian ship, using the ship’s fishing nets, which he said would represent state territory and make the statue subject to Italian cultural heritage laws. Since 1978, the statue has been on display at the Getty Villa in Malibu, California. Dated by the museum to 300 to 100BC, it is thought to have been removed from Greece by the Romans and to have been lost when a ship carrying it sank on its journey home. Possibly a tribute to a victory by a Greek athlete at Olympia, the life-size piece is considered a rarity. In its statement, the Getty emphasises that any prosecutions in Italy of the individuals who sold the statue were dropped for lack of evidence. It also cites a 1960s decision by the Court of Cassation that there was no evidence that the object belonged to Italy.